This is the large version of our Bird Table Stands range. Identical in design and onstruction but with a slightly larger height and base size. 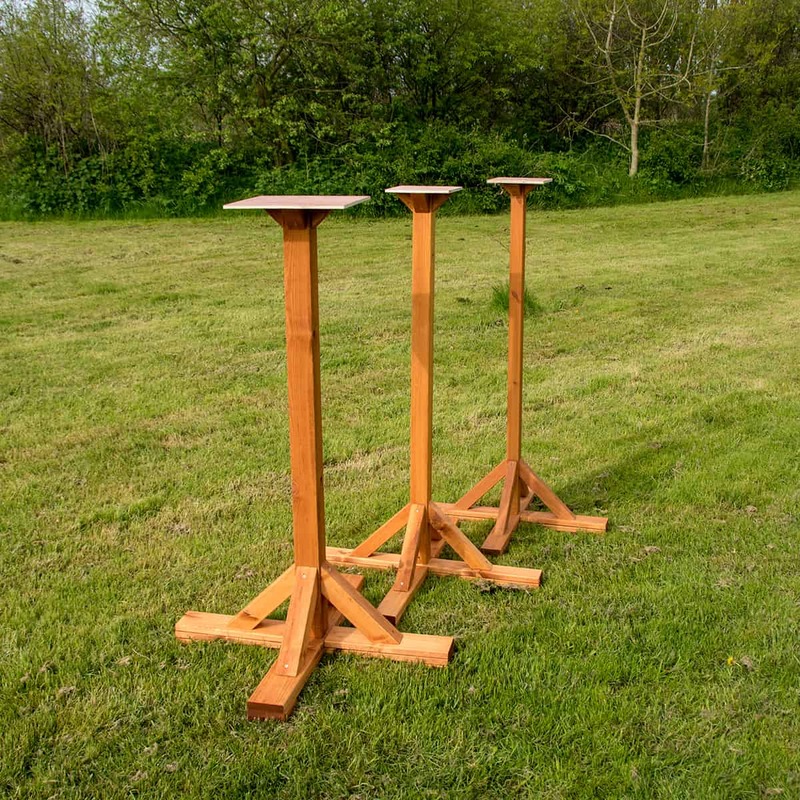 Replacement Bird Table Stands are ideal if your current table base is broken or rotten, as you don't need to buy a complete new table. You can also use them for various other garden projects, or for anything that requires a stand. We can supply them in either natural wood colour, or Golden Brown. Could you tell me the length of the cross pieces at the base. Just to compare with my current base.